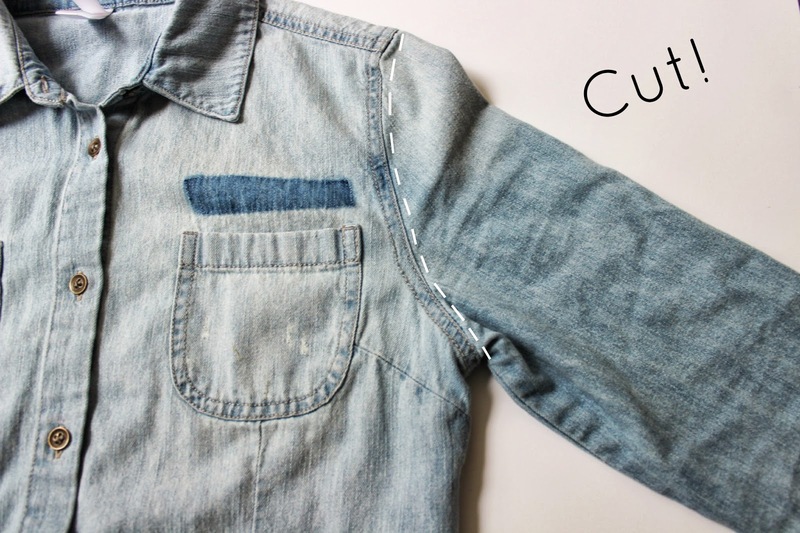 Spring is here and I wanted to share an easy way to transform your plain long sleeve denim button up into a fun vest for the warmed weather! 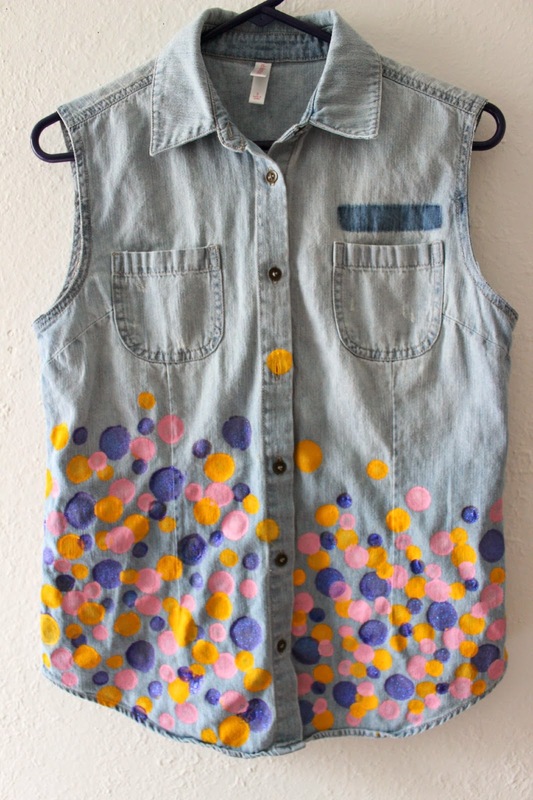 Here is how I achieved this awesome vest! 1. First off you need to cut off the sleeves! Super easy, I just cut along the arm sleeves! Time to paint! I picked out three colors, light pink, melon, and a shimmery purple! You can really do whatever design you want from here. 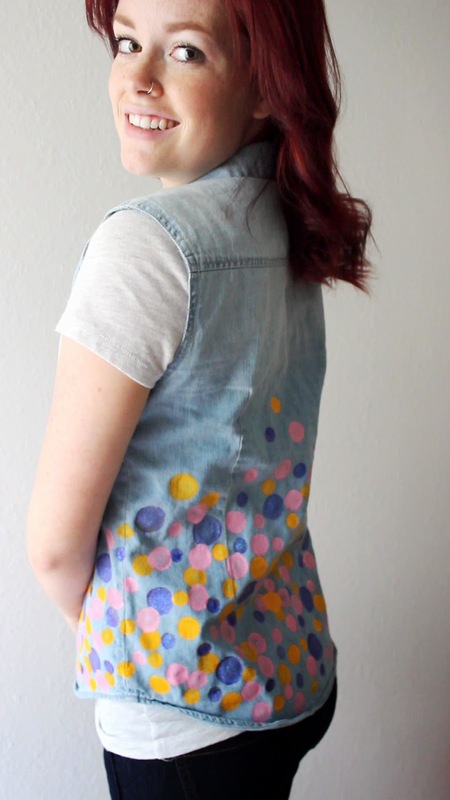 Go crazy and put dots all over! 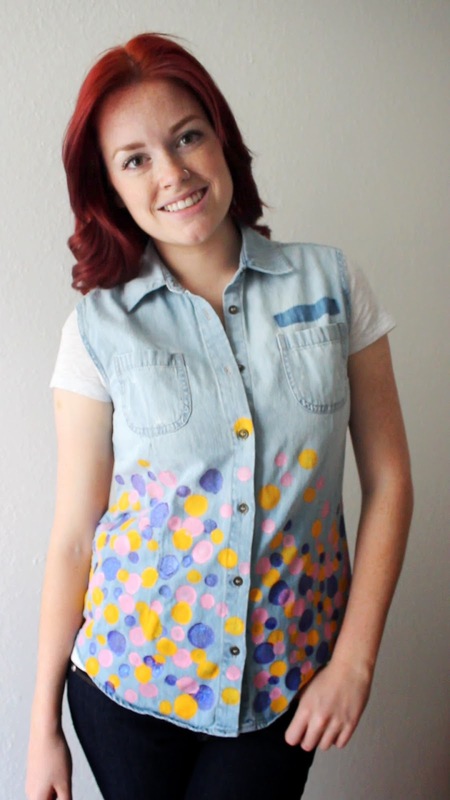 I wanted to create a gradient effect and have the dots cluster at the bottom then spread out closer to the pockets! Once the front and back is done, let it dry and you’re done! I would recommend washing it afterwards so the fabric paint isn’t as stiff when you first wear it! Save these for another DIY project to come! If you make this I would love to see it! Share it with me on Twitter or Instagram! If you’re new to my blog, please feel free to follow! 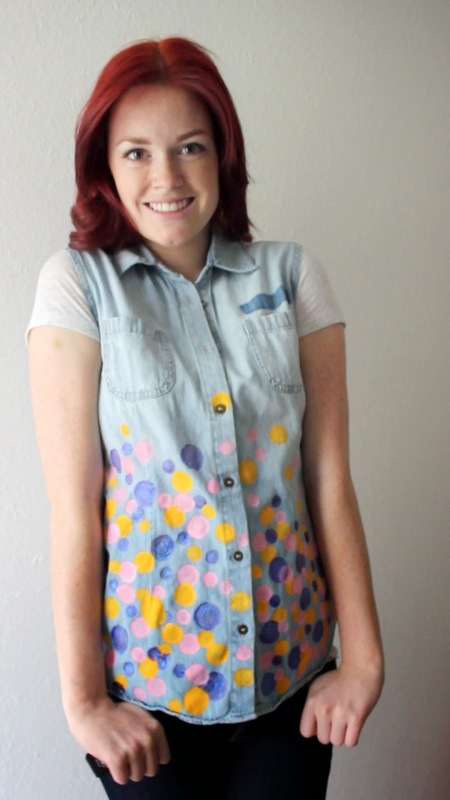 I have tons of DIY and fashion posts to come! You can also follow me on BlogLovin‘ too! "DIY: Explosive Dots Nail Tutorial"
Your pretty talented! I noticed your about me says you want to be a buyer. Have you ever thought about working at Nordstrom or interning there and moving up in the company? I would love too! The closest one is a drive away though. I wish it was closer!